Lumpectomy, also known as partial mastectomy, breast-conserving surgery, breast-sparing surgery or wide excision, is surgery that we use at Southcoast Health to treat breast cancer. A lumpectomy removes a breast tumor and a small amount of normal tissue around it. Your surgeon might also remove lymph nodes to test whether cancer has spread. Learn more about your breast cancer treatment options and undergoing a lumpectomy in Fall River, Dartmouth or Wareham, MA by contacting the Southcoast Breast Center or finding a specialist near you. You will need plenty of rest. You will have pain and discomfort. You might have a small tube at your surgery site to drain fluids. You will need a good sports bra or support bra to wear both day and night during recovery. Your doctor may give you arm exercises to start the day after surgery to prevent stiffness. Recovery takes about four weeks. In most cases, radiation therapy starts shortly after a lumpectomy and generally lasts about six weeks. 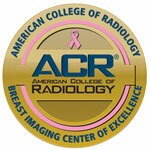 Combining lumpectomy and radiation has the same overall breast cancer survival rate as mastectomy. 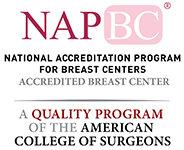 We also offer a specialty in breast reconstruction and oncoplastic surgery, working with skilled plastic surgeons to help patients feel as comfortable as possible after lumpectomy. Let our expert breast care team at Southcoast Health help you navigate your fight against breast cancer by providing the latest treatment options and personalized, compassionate care.